Green Moong Beans also known as Whole Green Gram are "loaded with nutritional health benefits" , especially so when they are sprouted. We use them fairly often in my house. 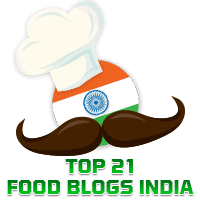 You will see recipes for Sprouted Moong Salad, Sprouted Moong Curry, and Healthy Moong Chaat, elsewhere in this blog. Today's dish is adapted from the recipe for a nutritious snack from Gujarat called Sprouted Moong & Methi Chila from the legendary Tarlaji Dalal. The recipe given below is for making 6 chilas. In a bowl, mix together the moong sprouts, chopped green chillies, and ginger with 3/4 cup of water. Move this back to the bowl and add the chopped fenugreek leaves, besan, and salt. Mix well to form a smooth batter and keep aside. Serve the chilas hot with mint chutney and a little curds.